Are you looking for a great way to keep you children entertained without spending a fortune? Watch the video and go through the photo tutorial to learn how to make a snowflake! For other free ways to entertain your children, be sure to print for them the Christmas Coloring Bookmarks, Christmas Gift Tags to Color, Christmas Coloring Sheets and the Christmas Wall Art. 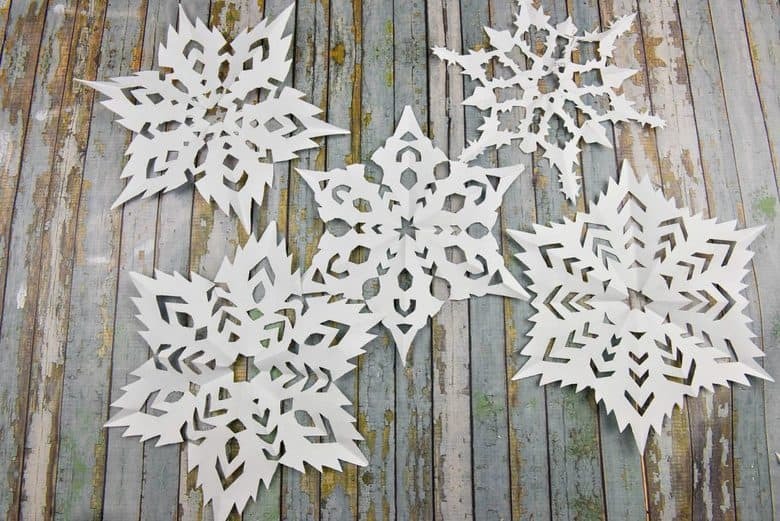 Your answer is do-it-yourself crafts like making snowflakes and the free printables listed above. It may seem old fashioned but, you will be surprised to see how much children love to learn how to make a snowflake! The best news is that you only need 3 things to make all the snowflakes you could ever want. That’s right. 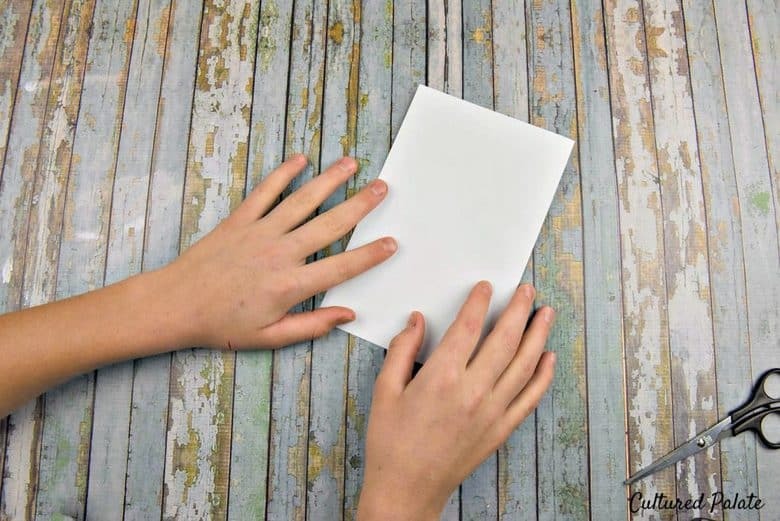 All you need is a piece of paper – white paper, colored paper, printer paper, construction paper. It doesn’t matter. 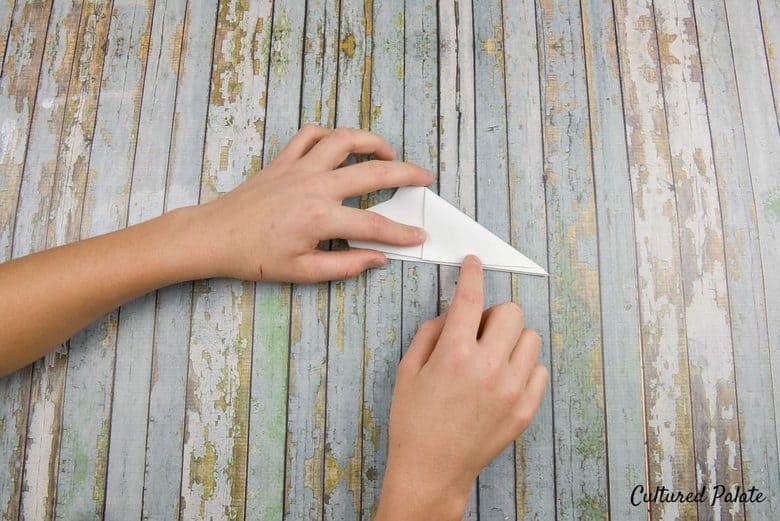 Paper, scissors and a bit of time. That’s it! With these three simple things, your children (and yourself for that matter) will have lots and lots of fun! It really is the simple things in life that provide so much fun! I know, it is the holiday season and after all, who needs to spend more money if you don’t need to? 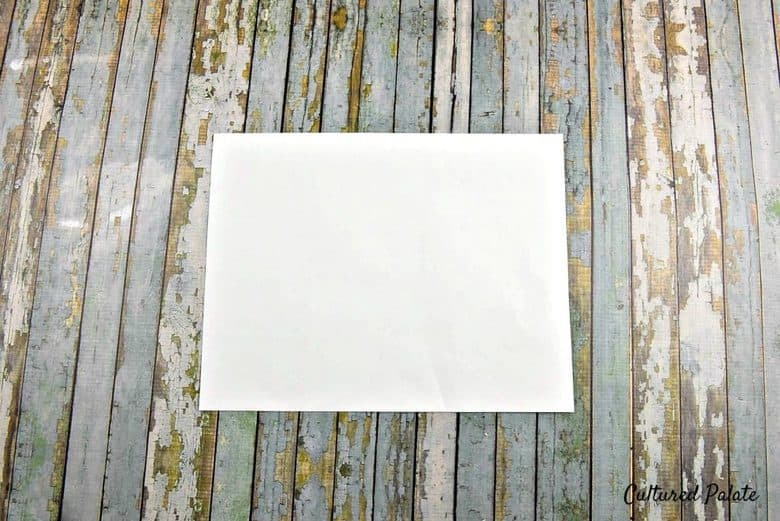 You have bills and more things to buy – here is an activity that is both inexpensive and FFUUUNNNN! So, watch the video to see how to make a snowflake as shown by my 12 year old son. Believe me, I did not have to coerce or bribe him to make this video – he loves cutting out snowflakes! In fact, if it were up to him and our youngest daughter, we would have snowflakes decorating the chandelier, windows and even the ceiling! When hanging the snowflakes, be sure to use a fine piece of thread since they themselves are so delicate. 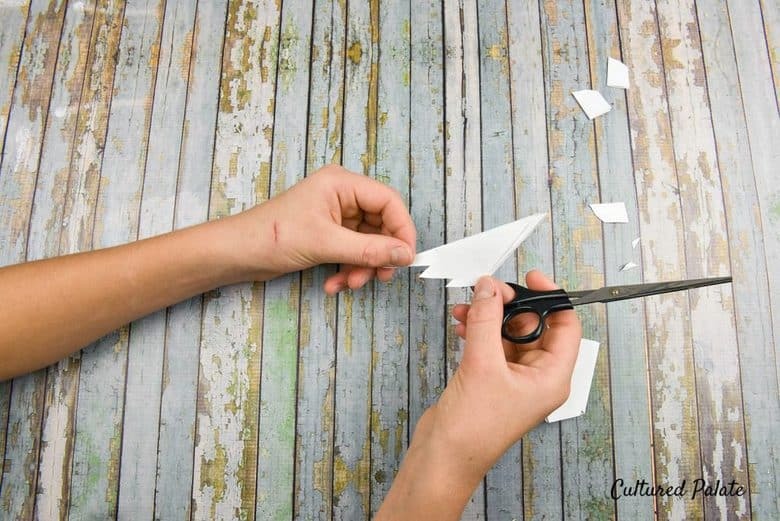 You can also use double sided tape to hang them on windows and glass doors – the decorating possibilities are endless! Snowflakes also look great on the Christmas tree and presents! You can use the snowflakes on a present instead of a bow. Then, place a gift tag on top of the snowflake so you know who gets the present. 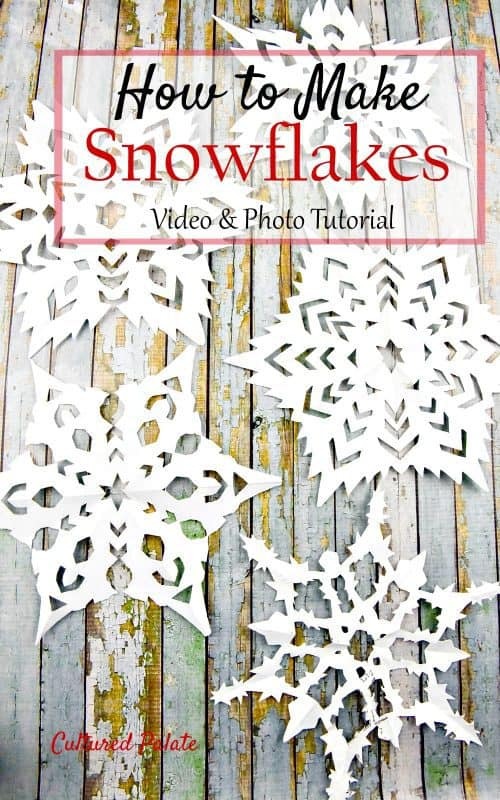 After you watch the video, you can go through the photo tutorial step by step, in slow motion to see how to create your own beautiful, one-of-a-kind snowflake. If in doubt, you can always go back to the video and pause it for each step. 1. Start with a piece of paper. 3. 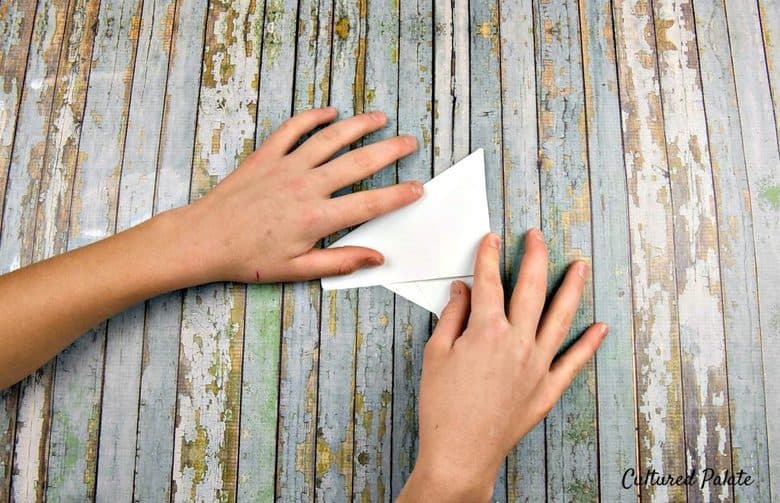 Next, fold the paper in half again. 4. Now, think of the folded paper in thirds. 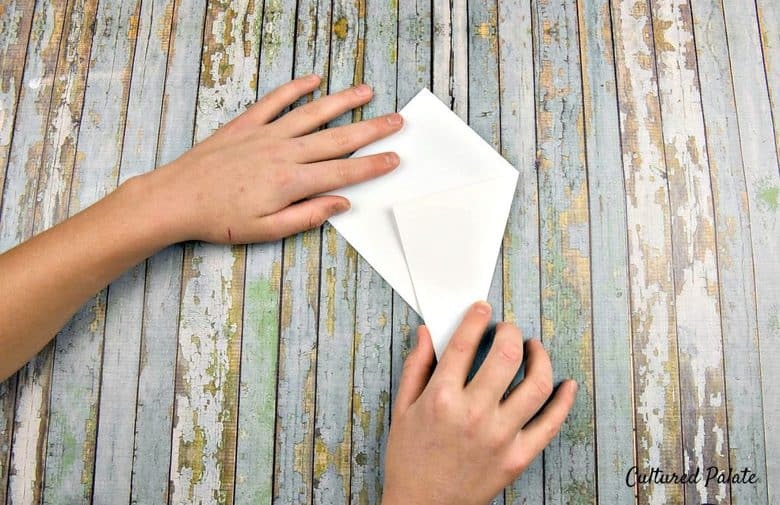 Fold along the third lines – first the right side. 5. Again, folding along the same third lines as above, fold in the left third of the paper. 7. Cut off the top at an angle. 8. Begin cutting out small triangles. 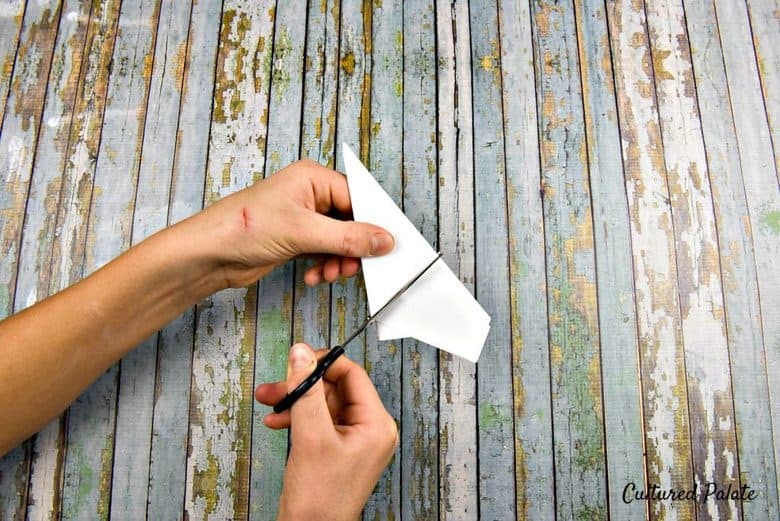 Triangles are the easiest to begin with but as you get comfortable, be sure to try other shapes too. 9. 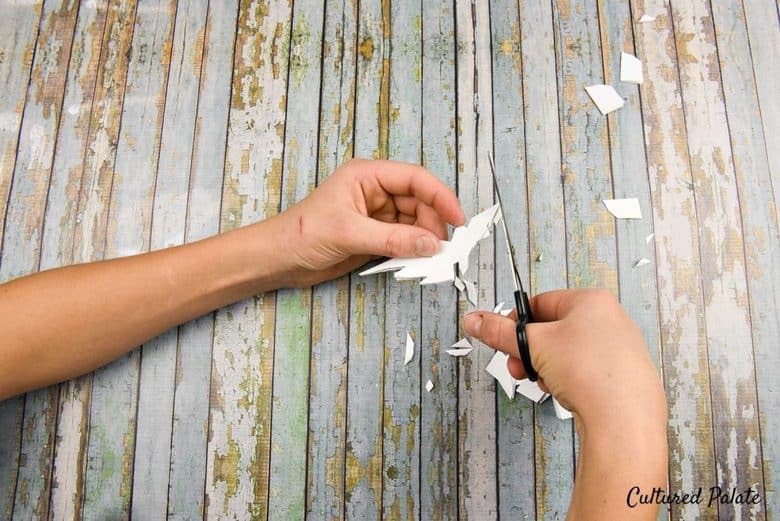 Continue cutting out small triangles. This can be all around the sides and even in the middle. Just be sure not to cut from one side to another all the way through because then you snowflake will not be a snowflake. 10. Finally, unfold and admire. You can see that the snowflakes are not completely flat to begin with because of the folds in the paper. You can press them between heavy books or iron them to get them completely flat. 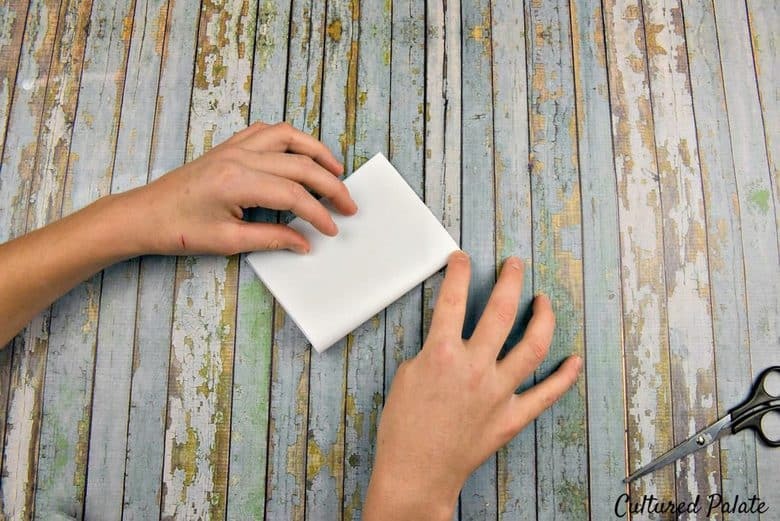 Ironing is a great way to flatten your snowflake if you are going to be decorating with them. Just remember that after ironing, the paper is very very hot – do not touch! Be sure to experiment with your own shapes. If it fun and exciting to see how different each one is – just like real snowflakes! You can get as intricate as you want to and normally the more cuts you make, the better the snowflakes look. 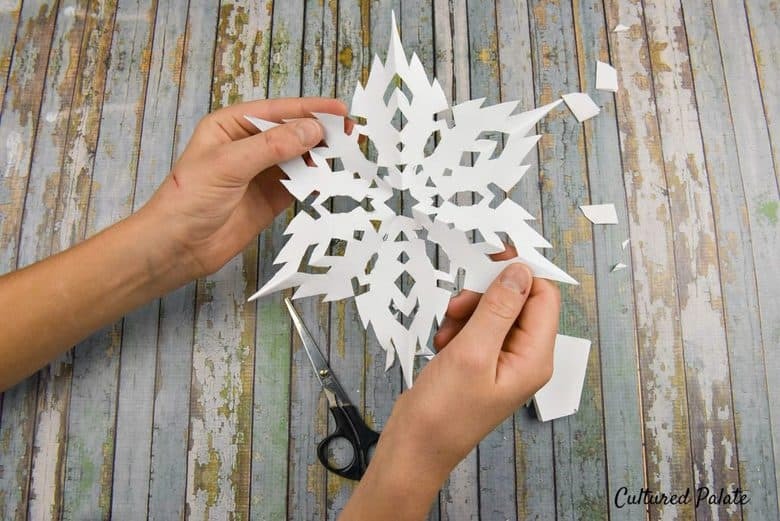 Be sure not to leave large areas where you have not cut because this will create a chunky looking snowflake rather than a delicate one. 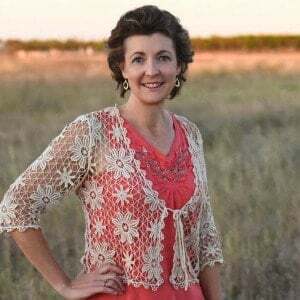 While this is an easy and affordable craft for children (and adults), don’t underestimate the joy that do-it-yourself Christmas and holiday decorations bring! I have to admit, that in this age of technology, even I am surprised, that such a simple craft like making snowflakes holds so much fun for children. Q&A - When is the Right Time?